You can set background color, background image, parallax and video as row backgrounds. click on the Edit row button and refer to background tabs (see fig. 1). These options are from ultimate addon for WP Bakery page builder, so make sure the plugin is installed and activated. You can find more totorials here. Stripes can optionally enable/disable from The7 > My The7. Stripes are not suggested anymore as all the effects and more can achieve using options from Row settings > Background tab. Row style is a way to apply specific styles to the rows. click the the “edit row” button to configure Row settings. Row editing interface will be displayed (see fig. 2). In the “Row style” field select one of five predefined stripe styles and two default styles. 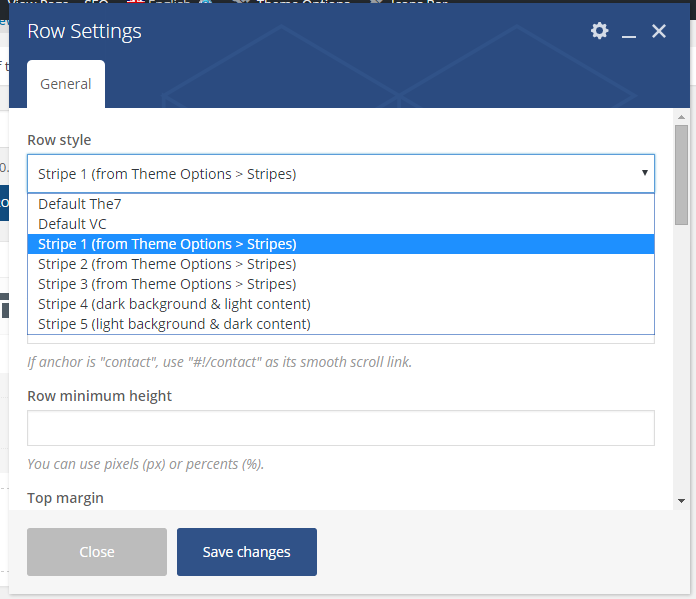 Additionally you can configure stripe with custom background, paddings, margins, animation, etc. Fig. 2. Converting row to stripe. After checking it, additional “Parallax speed” input will be revealed. “1” value equals normal scrolling speed (no parallax effect). For a better result, keep this value in range from 0.3 to 0.7. Also note that negative values are acceptable, this will make your background move in a reverse direction. Note: If there’s something wrong with image positioning, try using images with less “width/height” ratio. 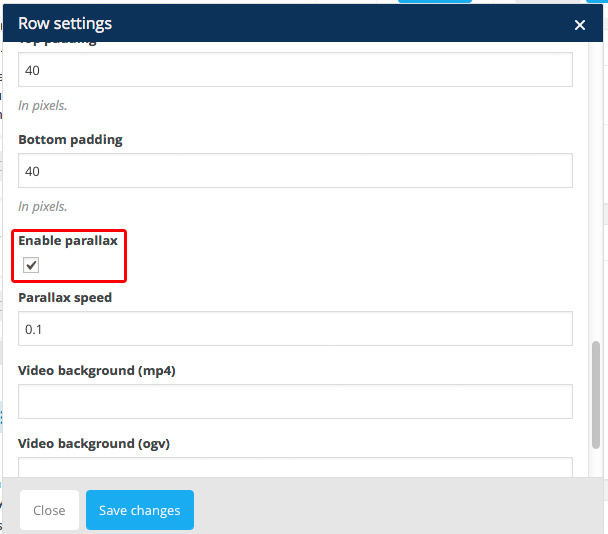 For example, 1400*1400px and try decreasing the parallax speed (0.9 is the slowest speed).